You can use Datamolino to submit Receipts as Expense Claims without the need to re-type the receipt information. You can snap a picture of the receipt and email it to your Datamolino folder or use the Datamolino mobile app to capture the receipt directly into your Datamolino folder (for iOS and Android). Please note, the Expense Claims are user specific. Make sure to select the correct user when you export from Datamolino. If you process a lot of personal Expense Claims, you can create a separate folder for each person in your organization to submit their receipts. Just set this folder to export into Xero Expense Claims with the correct user. 1. Go to Folder Settings . 2. 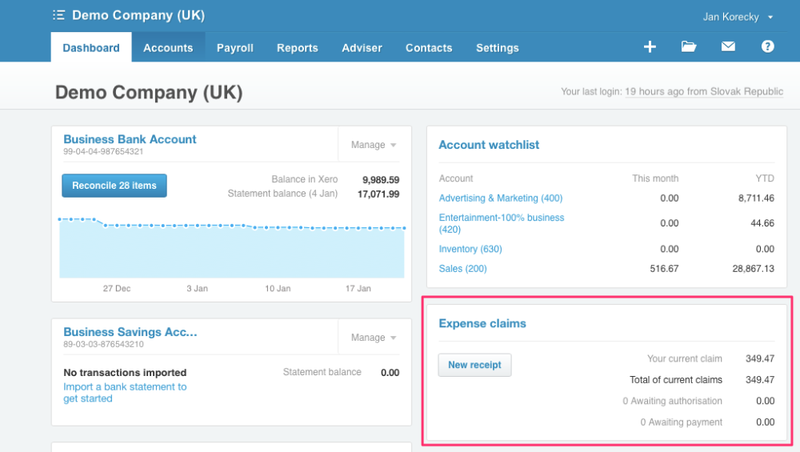 Scroll down to the Direct Connection settings and change the Default export destination to "Expense Claim" and set the "User in Xero". The expense receipts will be visible only to this user until he submits them as Expense Claims for approval. 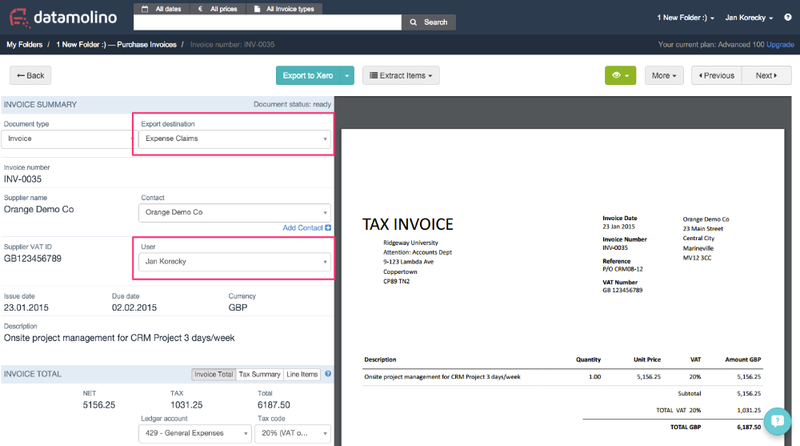 You can also change the export destination when you view the detail of an individual invoice or receipt. 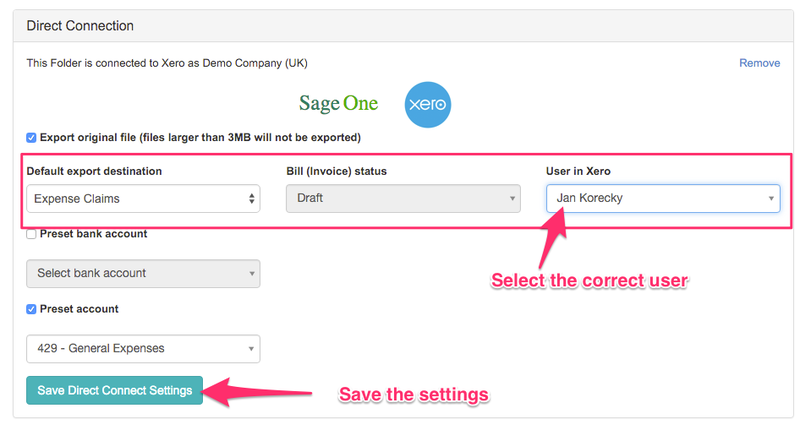 Make sure to select the correct Xero user before you export.